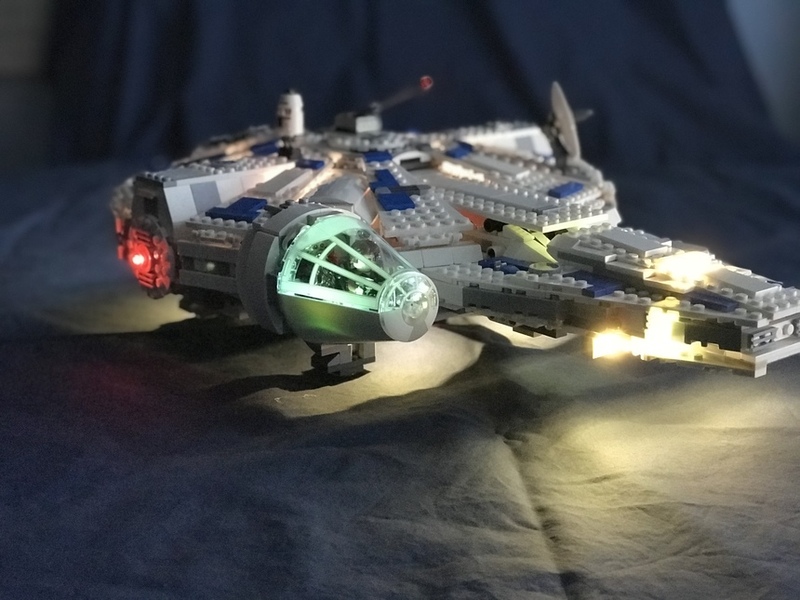 I’d like to share a few pictures of my Kessel Run Millennium Falcon (75212). The light installation is a combination of ideas from several different web sites and my own. I had some Brickstuff parts on hand and ordered everything else from this site. It’s not nearly as sophisticated as the Brickstuff Millennium Falcon (75192) Lighting Kit, which I do have. I installed the lights as my 5-year-old and I assembled the Lego set. We are both pleased with this project. Very well done - nice job! Great job Bill Ryan , thanks for sharing! That really looks good! I like how the escape pod has it's own lighting.